When Taylor and I packed up and moved to Charlotte last year, we knew we were in for an adventure. We had never moved away together. We had never lived in a city, and we only knew a handful of people. We were excited for our first big adventure as a married couple, but also completely unsure of what to expect. Our naive little selves had no idea what we were getting ourselves into. 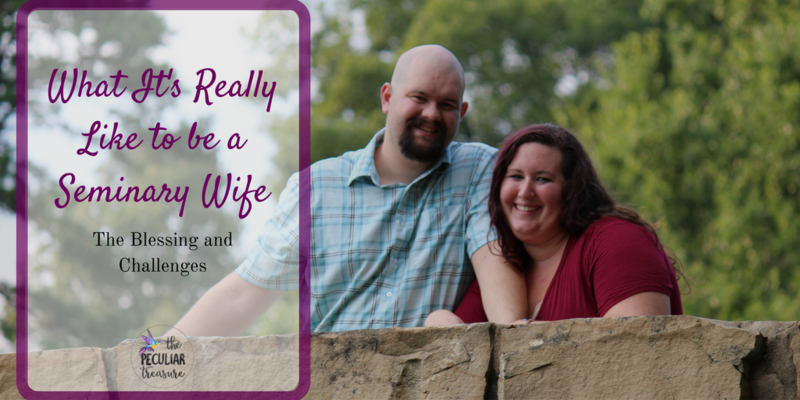 We didn't know how bad the Charlotte traffic was (not really, anyway), we didn't know it would suddenly be harder than ever to make friends, and we didn't know it would take us months upon months to decide on a church. We knew that we were entering uncharted territory, and we knew that it wouldn't be easy. We expected great things and hard things, and that's exactly what we've gotten. 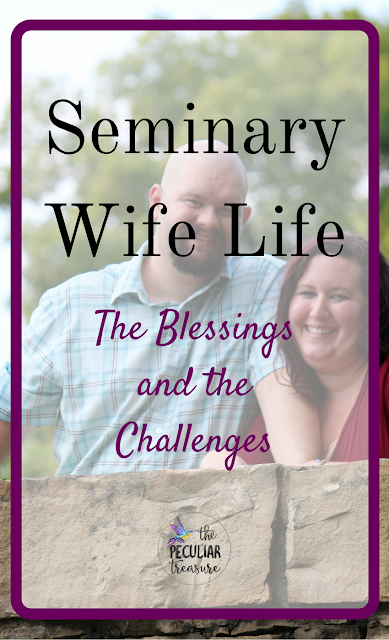 Seminary Wife Life is hard stuff, you guys! It has more challenges than I anticipated, but it has also come with many blessings. Seminary Wife Life comes with lots of lessons to learn. Learning is hard, because learning means seeing our faults. Nuff' said. Blessing #1- We are learning a lot! I am learning to be more patient, kind, and helpful even when I want to be selfish. I am slowwwwwly learning to be more of the person that God has called me to be, even if it's taking a lot longer than I would like it to! Isn't it funny that one of our biggest challenges is also one of our greatest blessings?! Seriously, what is it about this stage of life that turns me into a zombie? It doesn't matter if I get enough sleep, have a relaxed day at work, or anything else for that matter- I'm still exhausted all the time. And poor Taylor never gets a break. He has a better excuse than I do. Well, sometimes we are anyway. Adulting is hard and honestly we're not very good at it, but we are getting there. Being at least an hour away from both sets of families and having to rent a home, take care of our cars, and be responsible adults (HA!) has not been easy, but I feel like maybe me and Taylor are starting to see what we need to do to #adultsuccessfully. Baby-steps, my friends... baby steps. Challenge #3 And speaking of Taylor, has anyone seen my husband?! I knew I would see Taylor less. It comes with any sort of grad school situation. But good grief, Charlie Brown! Unless I stay up wayyyy past my bed time or go eat a hot dog multiple times a week at the restaurant Taylor works at, I barely see him. And we do our best to make it work. Taylor sometimes brings me lunch on his break or meets me for lunch. And me? I have never eaten so many flippin' hot dogs in my entire life. They are very good, but seriously, I'm so sick of hot dogs! Taylor and I know now that during this season, we are just going to see each other less. We have less time for dates, to hang out with friends, or to go on trips. So when we do have opportunities for such things, we usually take them. Sometimes our trips have to be solo. Taylor has gone back to the mountains without me a couple of times, and I've gone to the beach without him. It's not ideal, but we make it work. And when we have time together, I think we better-understand now that we need to cherish that time. Honestly, there are more challenges than this, and there are more blessings. If you guys are interested, I could definitely do a second installment or something similar. If that's something you'd like to see, let me know in the comments. God is teaching us so much. It can be obnoxious when we'd rather have a cushy life than be stretched and challenged, but God is faithful and it's a good thing He doesn't just do what we want Him to do, or base His plans, His will, or His timing on how we are feeling. Be encouraged, wonderfuls! Things take time. 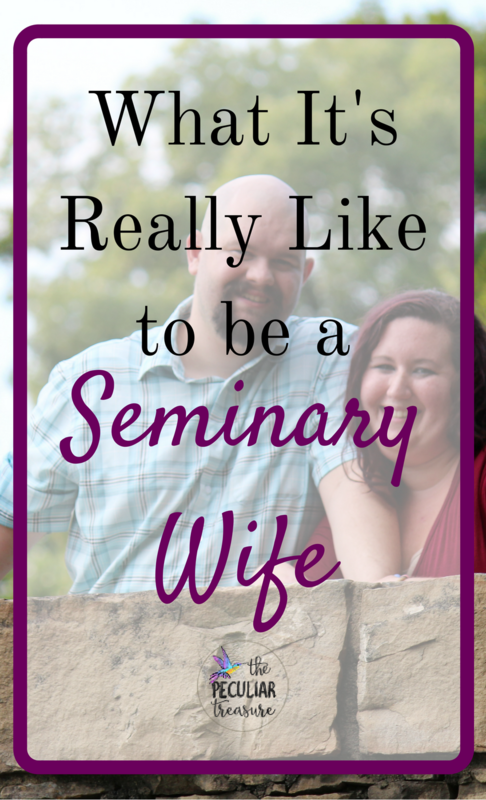 I was single whenever I went to Seminary but all of this sounds pretty similar. Between work and school I was working and studying all the time! That is so hard! I cannot imagine working full-time and going to school full time like you did and my hubby is doing. You guys rock! You're lovely and encouraging! Ryan and I also have had many blessings and challenges. I think one to add is learning how to love a city and the variety of people in it. In making friends, we've noticed that less and less have similar backgrounds to us and often nothing we can relate to at all. Stretching is a great word to describe that feeling. I'm uplifted when the commonality that ultimately unites us is Christ. How great it has been to be drawn together in a temporary home because Christ called us to be exactly where we are with the people he loves. Thank you, friend. You are too! You are so right. It is incredibly refreshing to meet someone that is a brother or sister in Christ, and it is also so true that ultimately, we are here because God has us here and we need to use every opportunity for His glory! This post is great, right down to the idea that you're sick of hot dogs but you keep going to eat them to spend time with hubs. I'm glad you're embracing the challenges, lessons and blessings that have come with this move! It's a great attitude to have about life and change. Too funny about eating so many hot dogs. Moving by itself is a challenge, but add all of the other stuff on top, and I think you guys are doing great. It's especially hard to be away from family. I think you have the right attitude, and it will all be worth it.